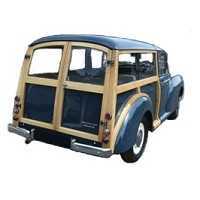 Custom tailor made car cover for the Morris Minor Traveller from 1954-1971. This cover comes in its own handy case and fully tailor made. 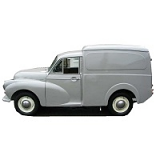 When you have decided on the cover you need, simply change the boxes below to the correct type of car cover for your Minor. Very good quality product and good fit for my MM Traveller. Reasonably price,.prompt service. Fitting advice would benefit from a recommendation to close the quarter lights - the top edges of which are quite sharp and can damage the cover - as I found out!